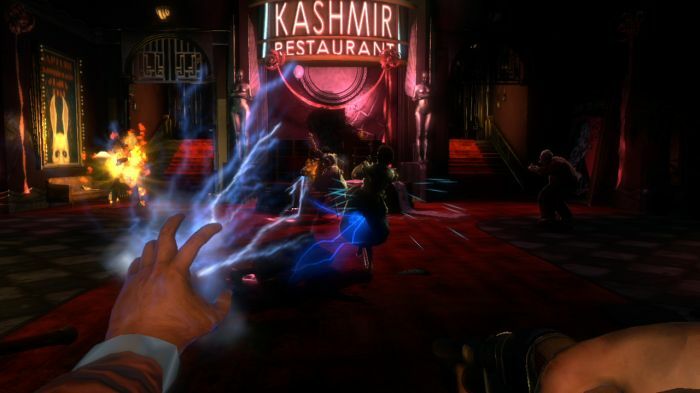 The original Bioshock was a massive hit upon its release in 2007, critics and gamers alike adored it. On its surface it seemed like “another FPS” but delve a little deeper and you soon realised it was much more than that. 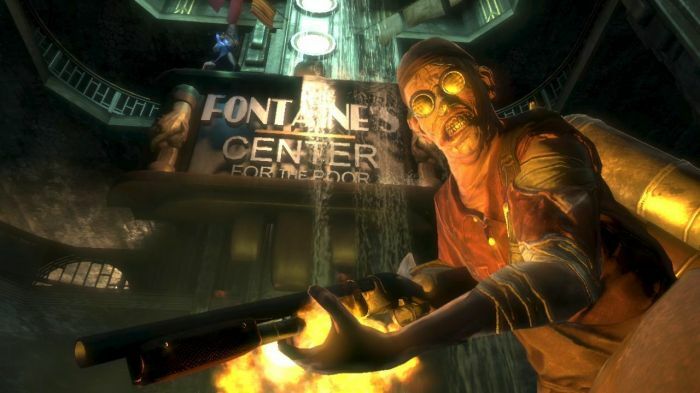 It was all about the combination of the first person gameplay with the stunning world called Rapture. With its brilliant art deco style, this destroyed underwater utopia was the setting for one fantastic rollercoaster ride of a story. The eerie atmosphere combined with some great twist and turns kept players engrossed right until the end. After the success of the original it was inevitable that we would get a sequel. However it is highly questionable if we really needed one. So, does Bioshock 2 build upon the success of the original or is it a needless sequel? Read on for the full review and find out for yourself. 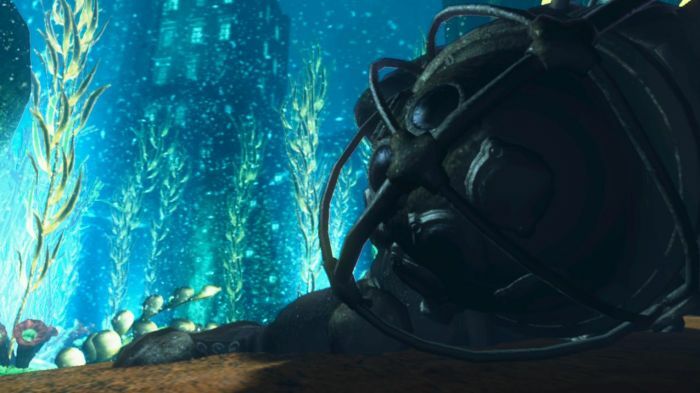 STORY: The story of Bioshock 2 is set in the year 1968 (eight years after the events of its predecessor) and centers around Subject Delta (that would be you), the first Big Daddy to be successfully bonded with a Little Sister. You are seperated from her through circumstances I won’t reveal in this review but needless to say your goal is to power your way through Rapture and reunite with her once again. The Little Sister’s name is Eleanor and she is the daughter of Sofia Lamb who, after the demise of Andrew Ryan in the original Bioshock, is now in control of the destroyed underwater “utopia” that is Rapture. Lamb’s ideals are very much different to Ryan’s and she puts them into extreme use by using her psychological “skills”. She brainwashes the twisted residents of Rapture and forces them to join a cult she calls The Family. This is her idea of a community, a collective power. She is also responsible for the rise of the Big Sister’s, your greatest threat through the course of the game. Lamb’s primary use of these nimble, dangerous females is to kidnap girls from the “surface” and turn them into future Little Sister’s. So, as you might have gathered Sofia Lamb is a very dangerous adversary and that is what makes her such an excellent character. The other characters are adequately portrayed too but she just stands out as the best of the lot. Throughout the course of the game, whether it be via the audio logs or direct communication, she portrays herself as a cold and calculating person. Her debates with Andrew Ryan in particular (via the audio logs) are just fascinating to listen to and are extremely well written. Infact, that statement also pretty much describes the story as a whole. A few minor hiccups aside, the tale of Bioshock 2 is an interesting one and compliments the events of the original very well. This time round the illusion of choice and the consequences that follow are slightly more “real”. Granted, they might only effect the story “cosmetically” but they feel like they have more weight to them. For a sequel which was in many quarters being touted as needless, the developers have done a great job with the story. Without revealing too much, the ending does leave a third entry into the series open but it is questionable if another journey into Rapture can engross and immerse gamers once again. Personally I would like to see the developers shake things up a bit. 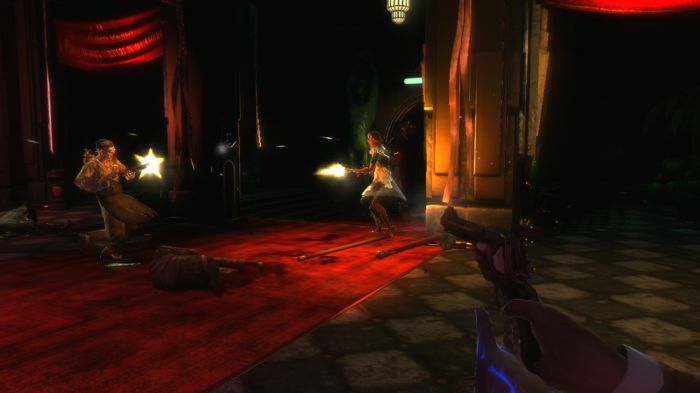 GRAPHICS: Visually Bioshock 2 has not improved much since the original, that is quite apparent from the off. The Unreal 3 engine is used once again but not too much strain is put on it throughout the course of the game. The character models, lighting, shadows and general detail are all decent enough but there is nothing really “wow” about any single aspect. That being said, the game isn’t terrible to look at by any means. The art deco style, once again, is very much pleasing on the eye. So much so, that when you step deep into the world of Rapture you forget about any technical shortcomings that exist within the game. The environments just ooze charm and personality. Proof, if it was ever needed, that technical prowess is not the be all and end all. 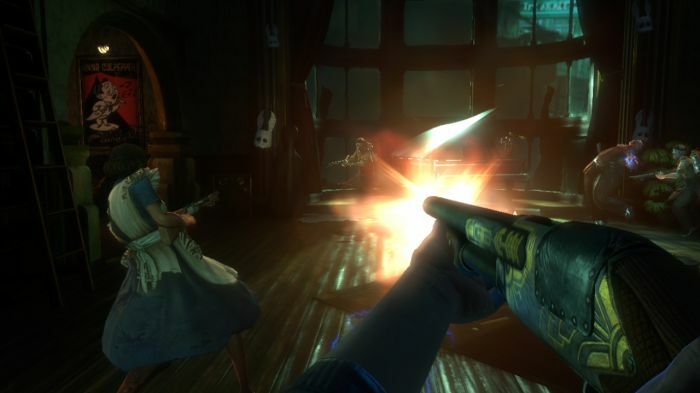 SOUND: The score to Bioshock 2 was composed by Garry Schyman with the aid of a 60-piece ensemble and it certainly shows. The music is consistently fantastic throughout the course of the game, especially during the Big Sister battles. The sheer panic of those moments and many others is captured perfectly through the stunning score. The voice acting is also very impressive, the tone of Rapture is conveyed brilliantly through the voices of all the characters. Sofia Lamb in particular is voiced with a great amount of verve and purpose, you can almost feel the coldness in her voice. 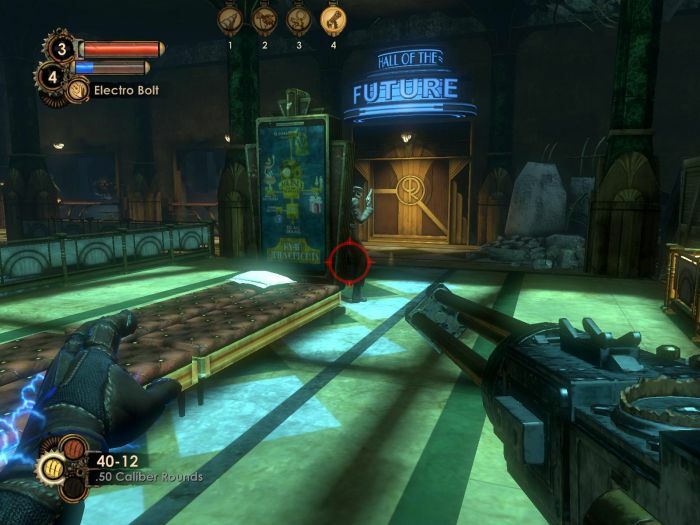 GAMEPLAY: The core gameplay in Bioshock 2 hasn’t changed too much compared to the original, even if you are a Big Daddy. Combat is based around using a combination of weapons and plasmids which are upgradeable throughout the course of the game. There are a few new additions to both but only one or two have a real effect on the gameplay. For instance, the new cyclone trap power (does exactly what it says on the tin) can be combined with plasmids such as incinerate or electro bolt to create some really interesting and tactical combat situations. However, these situations are a rare occurrence in Bioshock 2 and as a result the game becomes far less enjoyable than its predecessor. As mentioned the core gameplay is essentially the same as the original but the design has been altered in a way that hurts the overall quality of the title. 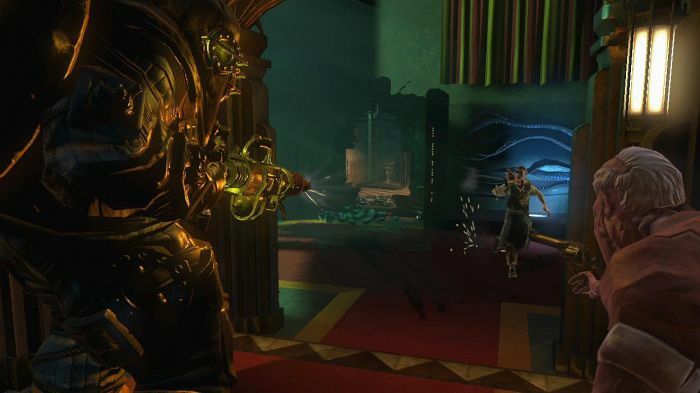 The balance of combat and exploration in the first game was nigh on perfection but in Bioshock 2 the scales are tipped firmly in the direction of the former. The action is forced upon you and as a result you feel like you are being rushed through the game. The best example of this would be the re-spawning enemies, stay in an area after you kill the initial batch of enemies and you will be greeted with a new group about 30-45 seconds later. They don’t stop either, they just keep on coming and this hinders any exploring you might wish to do. For most games that wouldn’t be a huge issue but one where the world and its contents play such big role in the overall gameplay experience it most certainly is. Even though the overall experience doesn’t match up to the original, the core FPS mechanics are still very well implemented. It is still immensely satisfying to take out enemies with the combination of weapons and plasmid powers you have at your disposal. 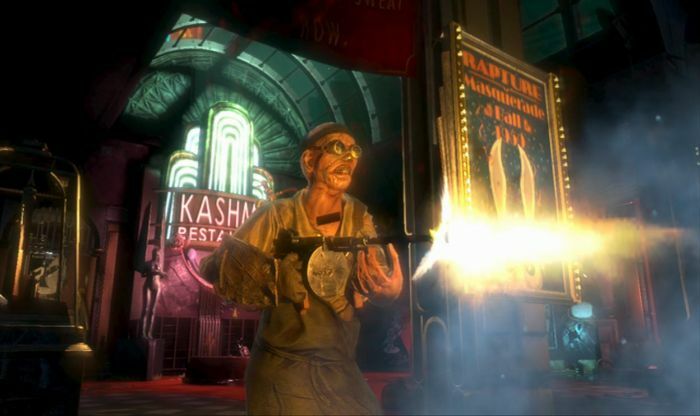 If you take that plus new features such as ADAM harvesting and Big Sister battles into account (even if they do support the more action theory), the undeniable fact is that Bioshock 2 still provides you an enjoyable, if slightly flawed gameplay experience. Most of you have probably already scrolled down and taken a look at the score, am I correct?! Well, let me tell you that 8 would have been a 7 if it wasn’t for the inclusion of a well thought out multiplayer mode, it is thoroughly enjoyable. Surprisingly enough, the weapon-plasmid combination works really well and it is oh so satisfying to incinerate or freeze a human opponent to death. 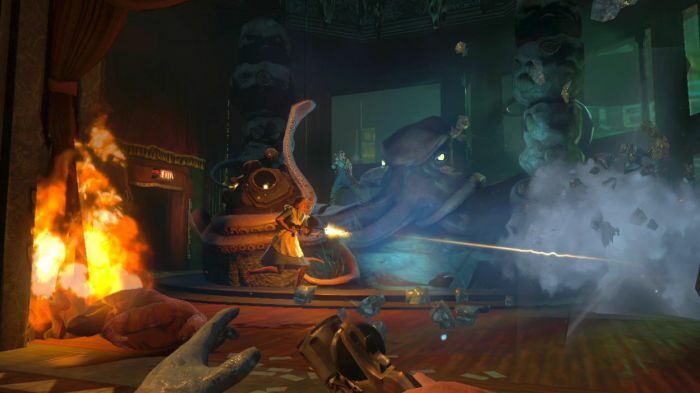 The basic set-up is not too dissimilar to that of Modern Warfare (ranking up, upgrades and so on) but there are various Bioshock related twists added to the gameplay. For instance you can become a Big Daddy in most of the match types by putting on a suit which is randomly placed into the map, it can really change the outcome and general feel of a match in the blink of an eye. Well done to Digital Extremes for developing such a good multiplayer mode against all the odds. LONGEVITY: The single player campaign can take anything between 8-12 hours to complete depending on what difficulty you play on and how much “exploration” you choose to do. To add to that, there is the surprisingly good multiplayer mode which could keep you going for many hours if you really get into it. 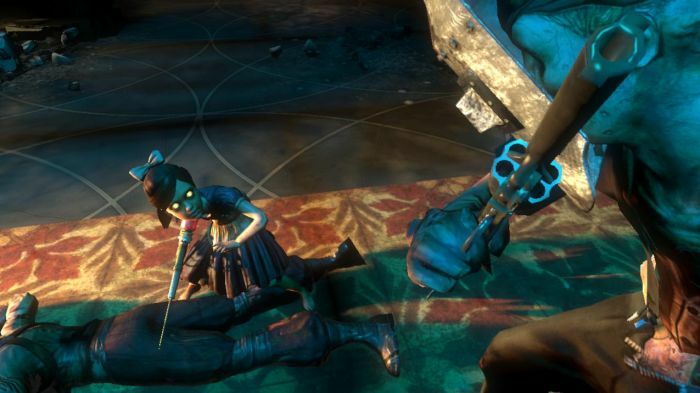 VERDICT: Bioshock 2 is very good first person action game and one fans of the original shouldn’t hesitate purchasing. However, pacing issues and more action oriented gameplay result in the game losing the essence that made its predecessor so great. It is certainly not a needless sequel but it is most definitely an inferior one. @TheFreak7 I jumped straight to the score rather than reading the review, and well i don’t agree with the score. I found BioShock 2 better than the 1st. Actually I’d give the 1st one 8/10, and the 2nd a 9.5/10. My only quarrel with the game are the textures which are quite blurry in some places. Other than that, the water effects, the sounds, the gameplay, and the surprisingly fun multiplayer mode is all good. Not only did i rent this, but just bought it too! @TheFreak7 Yeah I’m starting to repel from reviewers lately, especially after seeing the heavily mixed Aliens vs. Predator reviews recently. I mostly form an opinion from game videos and see if the gameplay is up to standard and interesting. Alternatively, you can’t go wrong with a cheap rental!